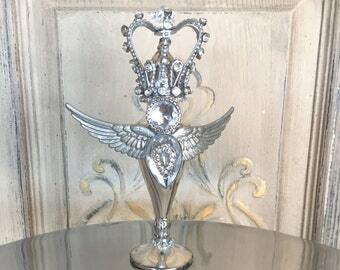 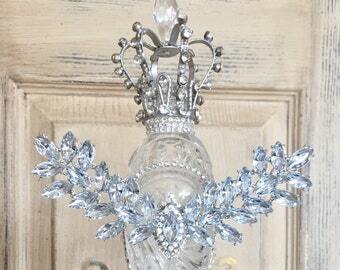 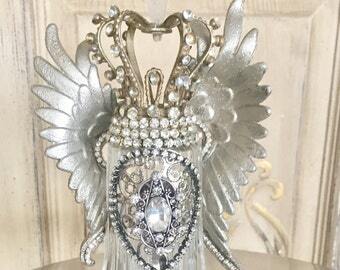 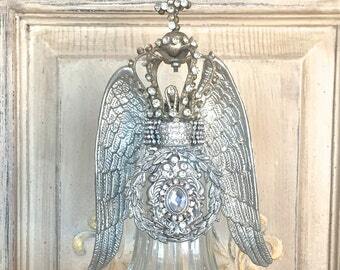 This gorgeous Queen has been transformed from an altered vintage silver salt shaker, and is one in a series of unique hand embellished pieces just added. 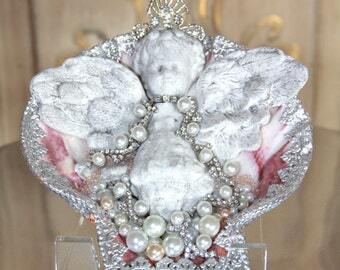 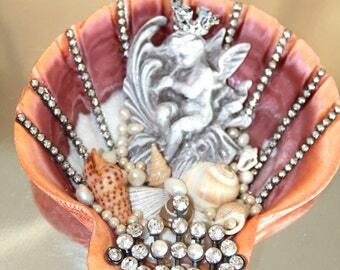 She is adorned with wings, crowns, rhinestones, crystals and jewelry. 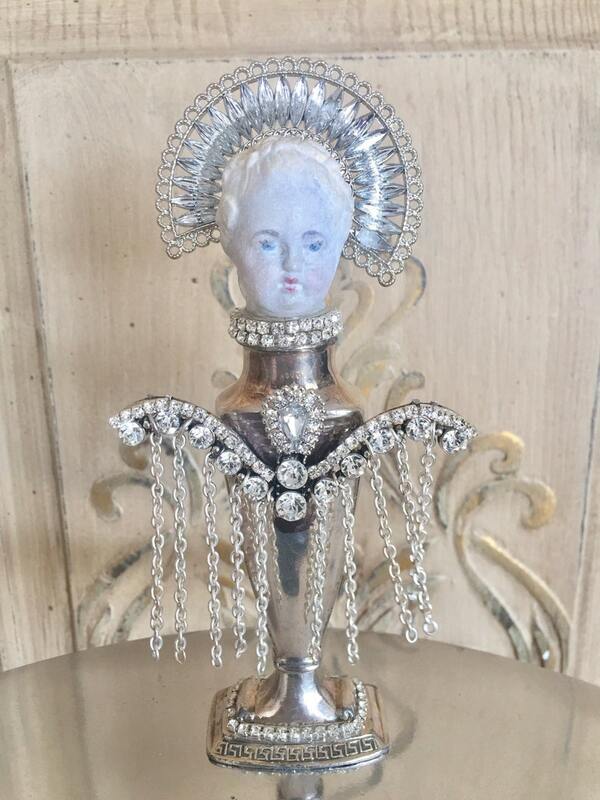 Many levels of detail were added to this vintage art piece. 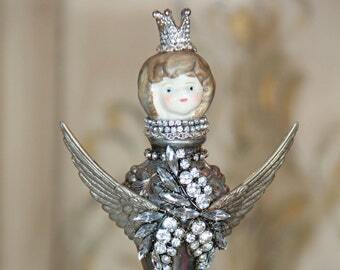 The beautiful face was hand painted and a delicate crackle finish was added. 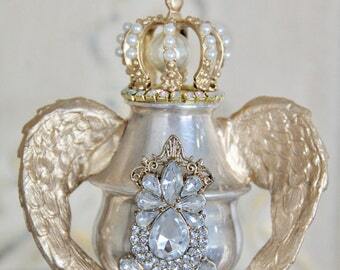 The patina has been preserved to silver finish of the shaker, while adding vintage jewelry, rhinestones and crystals…not forgetting the metal chained wings too! 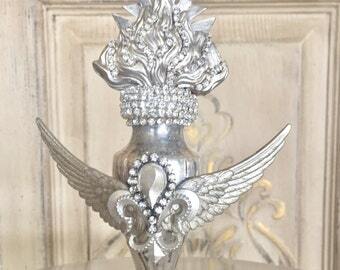 Size is aprox 3 "w x 6 1/2" h .